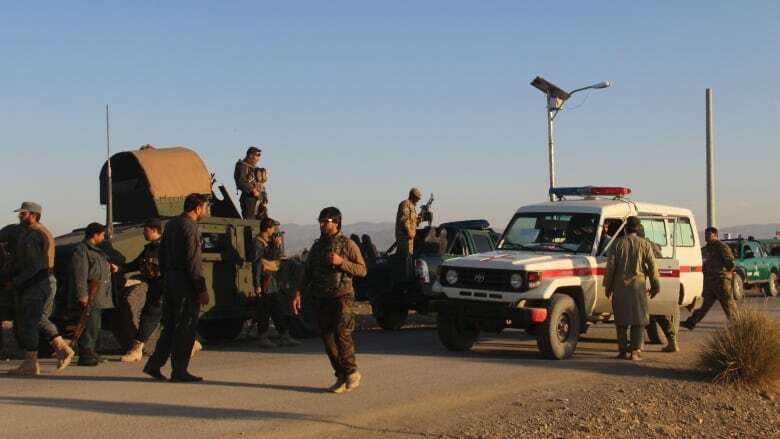 An explosion ripped through a mosque inside an Afghan army base in the country's volatile eastern Khost province as Friday prayers were drawing to a close, killing 27 soldiers and wounding 57, the military said. The blast may have been set off by a suicide bomber or a remotely detonated bomb, but nothing was officially confirmed and details were sketchy. No group immediately claimed responsibility for the explosion. In a statement, President Ashraf Ghani condemned the attack as "anti-Islamic and inhumane." He also wanted to know how the army's security was breached, demanding a swift investigation and the officials responsible held accountable. It was the latest in relentless, near-daily onslaughts in Afghanistan, where the Taliban regularly target Afghan military and police forces throughout the country. "There were soldiers lying everywhere, and the smoke was so thick it was difficult to see," said Abdullah, a spokesperson at the base. Like most Afghans, he uses only one name. He spoke to The Associated Press over the phone from the base. The dead and wounded were rushed to a clinic within the army base, while the more seriously wounded were taken to a nearby hospital. Sakhi Sardar, head of the hospital in Khost, said most of the wounded were being treated for devastating shrapnel wounds. The explosion came just days after a suicide bomber killed 55 religious scholars gathered in the Afghan capital, Kabul, to celebrate the holiday marking the birth of Islam's Prophet Muhammad. 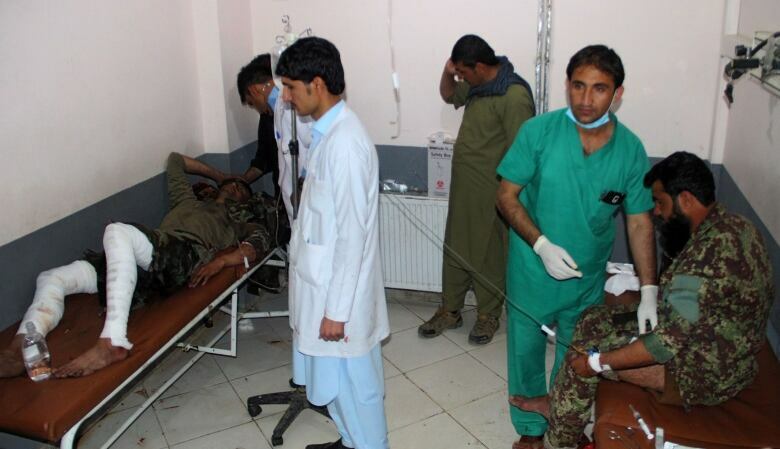 The Taliban denied involvement in that bombing, which also wounded 94 people. After 17 years and billions of dollars spent training and arming Afghanistan's military, it is struggling against an emboldened Taliban insurgency that holds sway in nearly half of the country. As well as the Taliban, Afghan troops are also battling an audacious ISIS affiliate which has been particularly brutal in its attacks against Afghanistan's minority Shias. Elsewhere in Afghanistan on Friday, hundreds of protesters blocked roads in northern Parwan province to denounce the death of three people who they say were civilians killed in an operation against the Taliban earlier on Friday. The protesters said the operation by Afghan special forces involved a NATO airstrike in the Jebul Siraj district that killed the three. However, NATO spokesperson U.S. Sgt. 1st Class Debra Richardson said no NATO or American activity took place in Parwan in the past three days. The provincial governor's spokesperson, Wahida Sakhar, said Parwan officials were negotiating with the protesters and promised an investigation into the incident. Afghan special forces called in a NATO airstrike during an operation Wednesday against the Taliban in eastern Logar province. Ten people died but it's unclear how many were civilians.